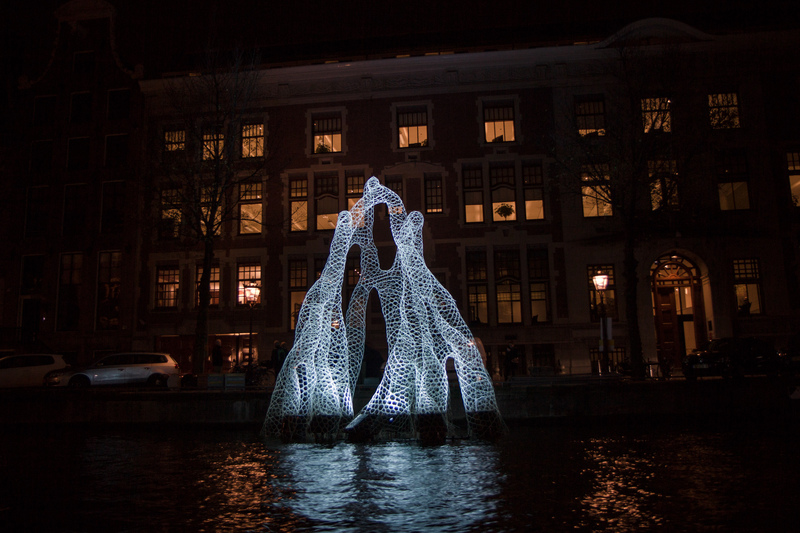 Arborescence was one of the winning projects for the Amsterdam Light Festival 2014 and selected by the jury for the boat route Water Colors. 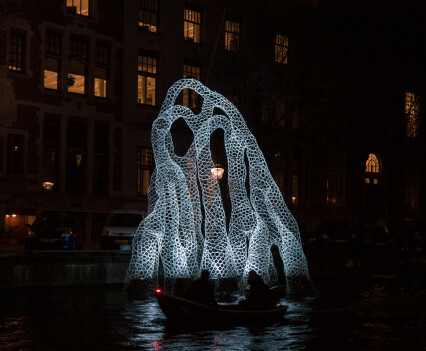 Floating, ephemeral vegetation resembling the Rhizophora species grows from the Amsterdam water, luminescing and animating in response to the dynamic motion of water. 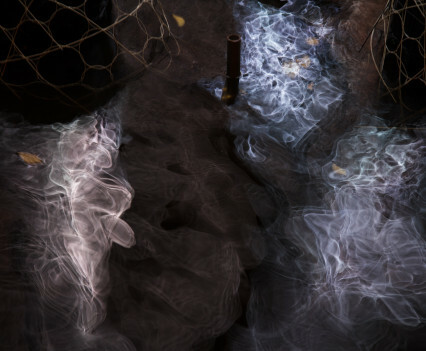 A bioengineered mangrove, genetically altered to bio-luminesce, replacing traditional street lighting. 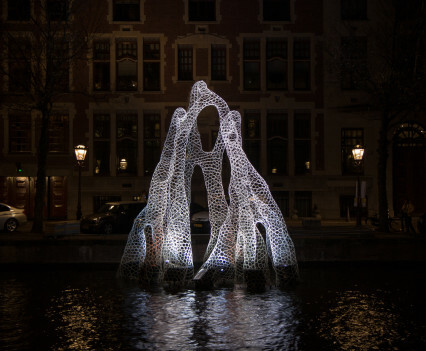 This is a fantastical speculation about the future of light in the City – proposing a hybrid between trees and streetlights in order to create sustainable ‘living lighting’. 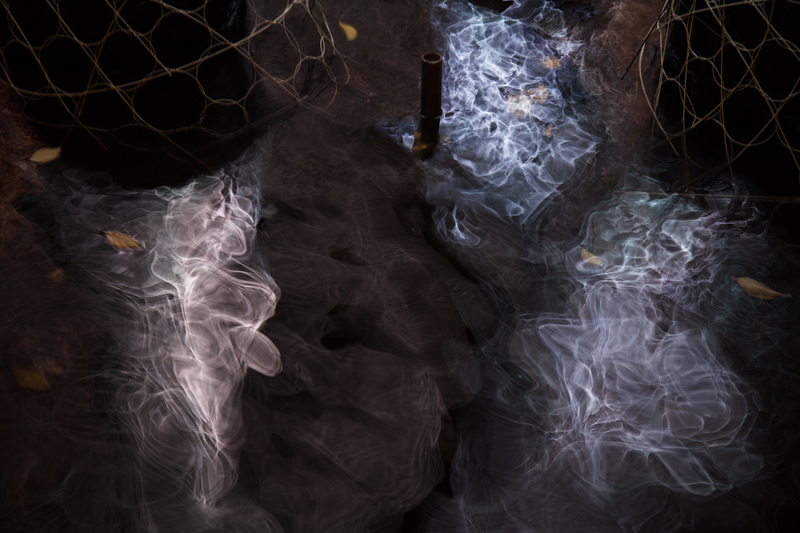 We bring cutting edge scientific research from the laboratories and into public space to inspire debate and action. 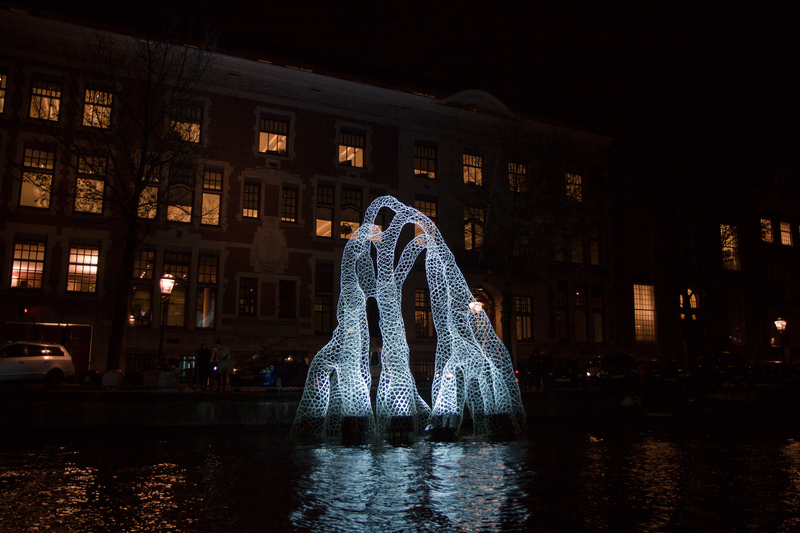 The UN declared 2015 as the Year of Light and we see this is a great opportunity to showcase the most innovative and radical thinking around light-based technologies. We are celebrating the advancement of cities, and human ingenuity to reprogram life to create more sustainable, bright futures. 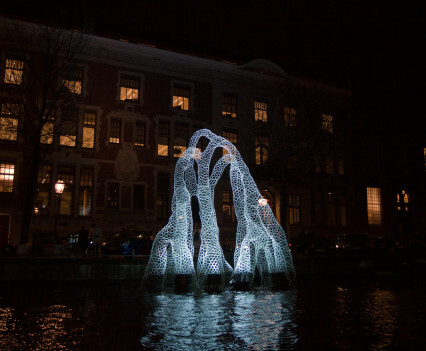 Through creating a visionary installation, visitors are invited to question the future of light in Amsterdam in a time when advances in bioengineering respond to increasing energy scarcity. The cities of the future could be green and glowing spaces where natural elements such as bioluminescence and urban farming are used to soften the impact of a changing climate. The theme for this year’s festival, ‘A Bright City’, challenges artists to create a tribute to life in the city. 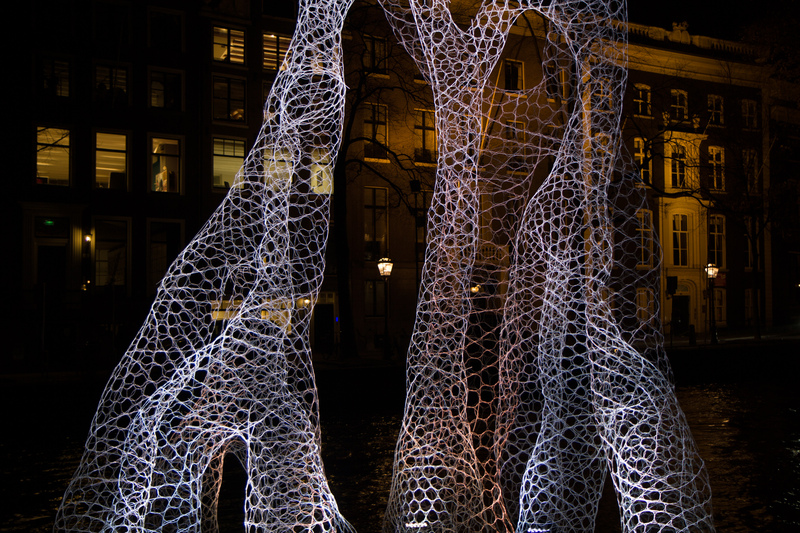 The city was filled with light sculptures, projections and installations by contemporary international artists. 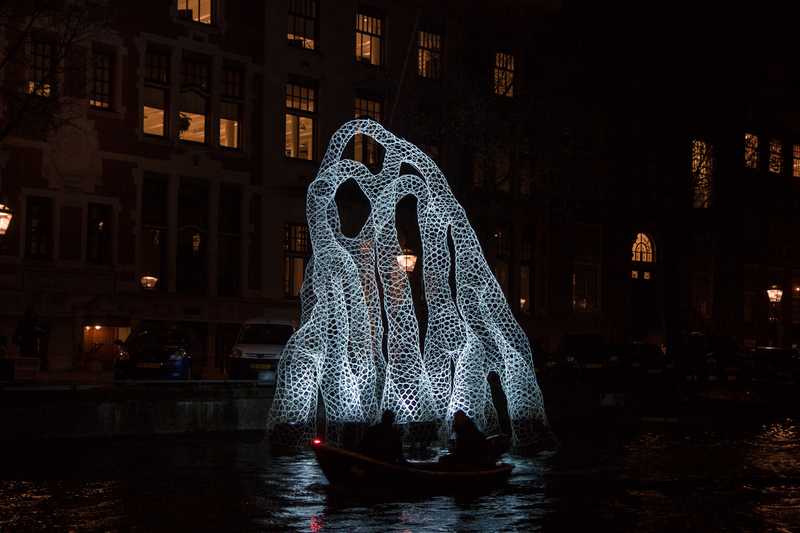 The boat route, Water Colors, takes visitors past artworks along Amsterdam’s canals and the Amstel. 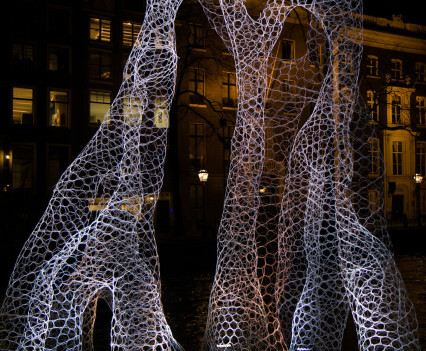 The walking route, Illuminade, winds through the city center. 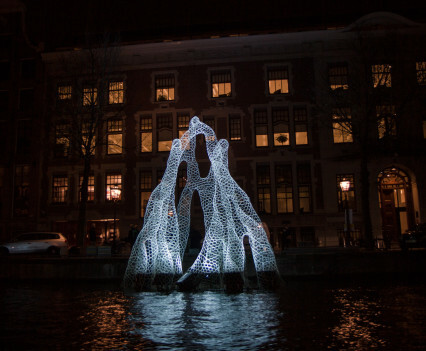 The third edition of Amsterdam Light Festival takes place from 27 November 2014 to 18 January 2015. 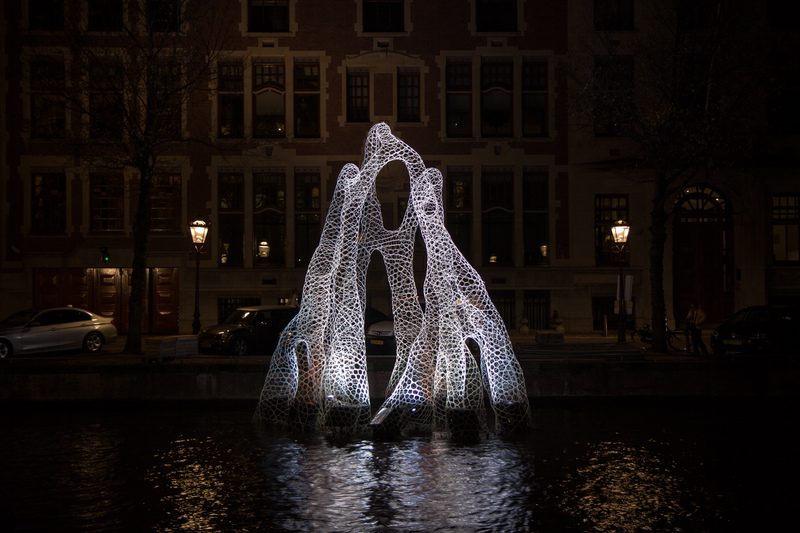 Over 10,000 circles of composite fibre were painstakingly woven by hand and assembled into a self supporting structure that reaches over 7.5m high. A huge thanks goes to our incredible design team!